Complexity theory provides a common language and rubric for applying agent-based processes to a range of complex systems. Agent-based modeling in turn advances complexity science by actuating many complex system characteristics, such as self-organization, nonlinearity, sensitivity, and resilience. 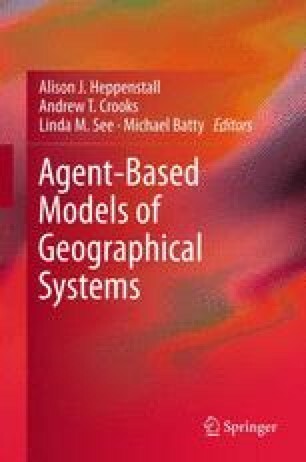 There are many points of contact between complexity and agent-based modeling, and we examine several of particular importance: the range of complexity approaches; tensions between theoretical and empirical research; calibration, verification, and validation; scale; equilibrium and change; and decision making. These issues, together and separately, comprise some of the key issues found at the interface of complexity research and agent-based modeling. This work is supported by the National Aeronautics and Space Administration (NASA) New Investigator Program in Earth-Sun System Science (NNX06AE85G) and the National Science Foundation (0709613). Responsibility for the opinions expressed herein is solely that of the authors.